Live a little on your vacation! You're in Southern California, so it's only natural to want spend some time on the water on a yacht or cruise down highway 101 in an exotic sports car. Bluewater makes it a little more affordable and fun! While you`re on vacation in San Diego, why not view the spectacular coastal scenery from behind the wheel of your dream car. 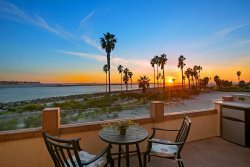 San Diego Prestige has all of the top brands and better yet offers Bluewater guests a 20% discount! A yacht charter is a unique and fun way to celebrate a special occasion, corporate event or have an once-in-a-lifetime party. Choose from many sizes of boats from smaller yachts perfect for relaxing with close friends or family, all the up to truly stately yachts are sure to impress! - Guests of Bluewater Vacation Home are eligible for a 20% price reduction.